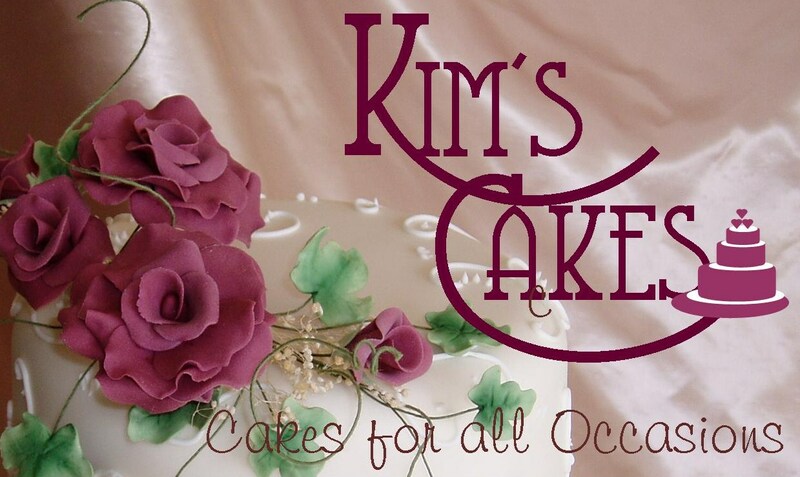 Kim’s Cakes make Celebration Cakes for all occasions; Weddings, Birthdays, Anniversaries, Christenings, Christmas and Novelty. Hi, my name is Kim, I started making cakes as a hobby around 18 years ago for friends and family. Eventually, by word of mouth, I started to make Celebration cakes for other people, so I attended an evening course in Cake Decorating and Sugarcraft and decided to start my own small business. Deciding on the perfect cake takes careful consideration and guidance, so feel free to give me a ring or come along for a friendly chat where we can discuss your ideas and designs. Celebration Cakes can be sponge or fruit, covered in sugarpaste and decorated to your requirements, including colour or a theme you may have for your special occasion. Sugar Flowers and modelled figures; where possible, are hand crafted by myself. Alternatively you can use fresh, silk or dried flowers for decoration, or even bring along your own decoration to pop onto your Celebration Cake. Thank you for visiting Kim’s Cakes.